The 23rd national TMS Patient/Caregiver Conference will consist of lay-person-focused medical presentations, panel discussions, workshops and support group sessions, with time for questions, and will incorporate breaks to allow for rest periods, and free time to allow for casual socializing. This conference will provide a uniquely supportive environment in which patients, caregivers, and families learn to self-advocate, and will offer exposure to research and clinical trial information to which they normally would not have access. Patients, caregivers, physicians, young or established investigators, and biopharma can interact outside of the medical environment to promote more positive relationships in a casual atmosphere. Online registration for the in-person conference is now closed, but for those who still would like to register please contact laura@steppesolutions.com. We understand, however, that travel is challenging for many and this year we are pleased to offer an option to watch on a live stream. While the stream will be open from the first to the last session, ONLY the main sessions will be streamed. Please consult the conference schedule below. All times listed are PST. Times and speakers are subject to change. TMS selected the Crowne Plaza Hotel Foster City-San Mateo as the venue for the Patient/Caregiver Conference due to its proximity to a major airport, restaurants, a major hospital, cost-conservativeness, and ability to provide accommodations for our medically-complex patient population. The hotel is handicapped-accessible and will accommodate people with disabilities. Families are welcome to attend the conference and children are offered a reduced registration rate. 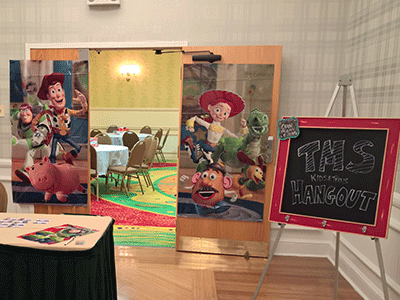 In addition to the registration cost above, a Children’s Room will be available to use throughout each day: $20 per day reserved in advance. Although it will be supervised by childcare professionals, a parent must be in the Children’s Room with their children at all times. The conference speakers will be live-streamed to your laptop while in the Children’s Room, please bring headphones/earbuds. If you would like to arrange for private childcare, you may do so through Town and Country Nannies by calling 415-567-0956 (TMS is not responsible/liable in any way for use of this service). Due to a high response rate, guest rooms are sold out at the conference venue, the Crowne Plaza. As one alternative option, the TownePlace Suites San Mateo Foster City is within walking distance. Rates vary and are subject to availability. For a complete listing of all accommodations in the San Mateo area please visit the San Mateo County Silicon Valley Convention and Visitors Bureau. This is a provisional schedule, subject to change at any time, due to the many responsibilities of our esteemed speakers and panelists. We thank you for your understanding. 6:30 pm Buffet dinner at the hotel for all attendees and speakers/panelists. Appetizers will begin at 6:30 pm. San Mateo County/Silicon Valley, gateway to San Francisco and home of San Francisco International Airport and Stanford University, has both scenic beauty and the excitement of a cosmopolitan community. Are you looking for beaches, golf courses, lighthouses, museums, parks, whale watching, horseback riding, wine tasting, theaters, historic sites, marine reserves, farms and ranches, miniature golf, aviation? San Mateo County/Silicon Valley has all of these and more! When it comes to dining, San Mateo County/Silicon Valley is top-notch. Whether you’re looking for a quaint Italian restaurant nestled in downtown, a sidewalk café, a romantic seafood restaurant with stunning views of the water, or a brewpub, you’ll find exactly what you need. For complete information on the area and all it has to offer, please visit San Mateo County Silicon Valley Convention and Visitors Bureau. For general information on getting to San Mateo, airport transportation, and getting around town, please visit San Mateo County Silicon Valley Convention and Visitors Bureau. Cem Akin, MD, PhD, completed his residency in Internal Medicine and PhD at the University of Louisville, and his Allergy/Immunology fellowship at the NIH, where he also worked as a staff physician and researcher. He was Assistant Professor at the University of Michigan and an Associate Professor at Harvard Medical School, where he established and led the Mastocytosis Center at the Brigham and Women’s Hospital in Boston. He is internationally recognized for his work on mast cell disorders and anaphylaxis and is an active member of the AAAAI.Dr. Akin is currently a Professor of Allergy and Immunology in the Department of Internal Medicine at the University of Michigan. He is Co-chair of the steering committee of the American Initiative in Mast Cell Diseases (AIM) along with Jason Gotlib, MD, MS.
Patrizia Bonadonna, MD, is an allergist/immunologist practicing at the University of Verona, Italy. She received her medical degree from the University of Padua, and went on to receive her Specialist certification in Allergy and Immunology. 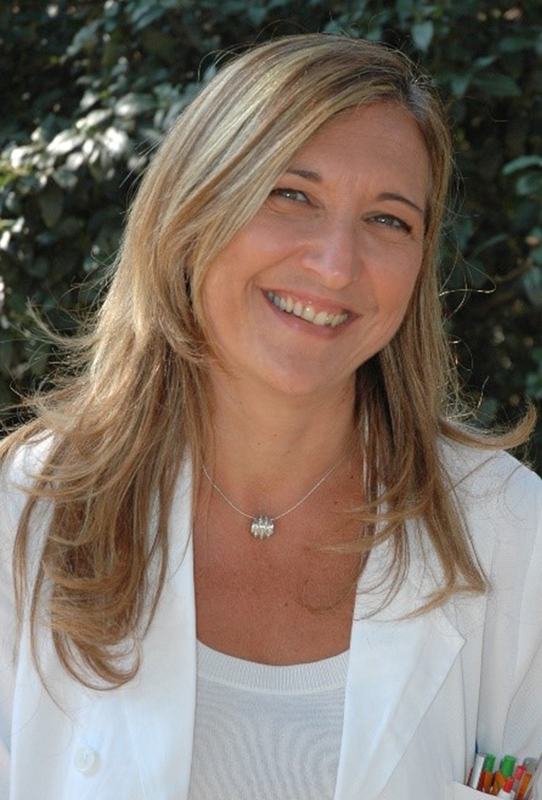 She trained further at the University of Verona, where she received a Specialist Certification in Occupational Health. In 2006-2007 she was an Observer Consultant in theAllergy & Asthma Department, Brompton Hospital, London UK. Dr. Bonadonna’s main interests of research are mast cell diseases and drug allergy, bone loss in mastocytosis, and hymenoptera venom allergy in mast cell disease. 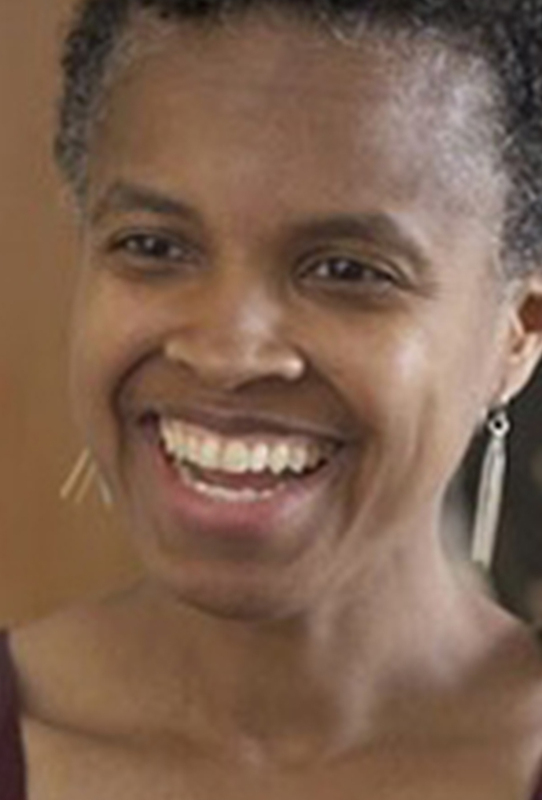 Melody C. Carter, M.D. graduated from Tulane University Medical School and completed her pediatric residency training at Emory University in Atlanta.She started her career in general pediatrics in an inner-city clinic. Dr. Carter was an assistant professor on the clinical faculty at Emory University for 12 years, with the final 5 years including clinical research in pediatric allergic diseases. She completed her allergy/immunology fellowship at the National Institutes of Health (NIH) and is a research clinician in the Laboratory of Allergic Diseases at the NIH. She is board-certified in Allergy/Immunology and Pediatrics. 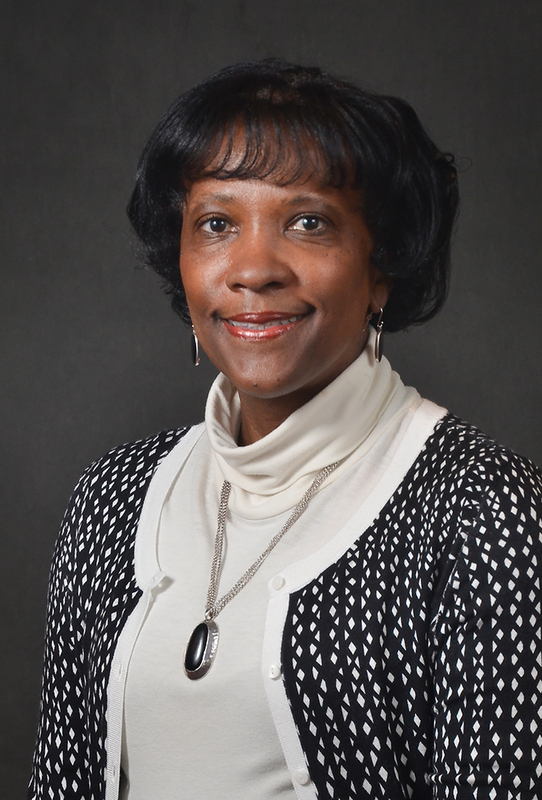 She has served in numerous leadership roles for the AAAAI including on the Board of Directors and has been a mentor for the NIAID post-baccalaureate and the Intramural NIAID Research Opportunities (INRO) committee. She has also chaired the Mast Cell Disorders Committee.She is a member of the steering committee for the American Initiative in Mast Cell Diseases (AIM). Mariana Castells, M.D., PhD, is a Professor at Harvard Medical School. 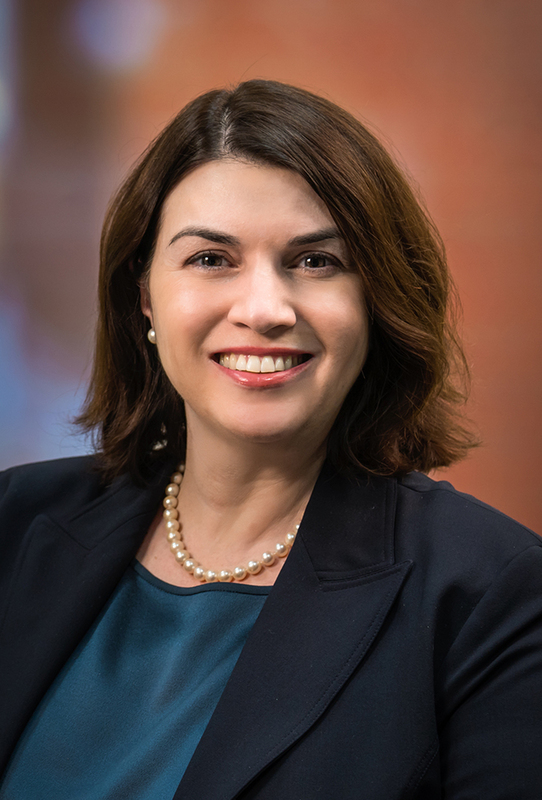 She is a clinician/teacher/researcher at the Brigham and Women’s Hospital Rheumatology, Immunology and Allergy Division serving as Director of Drug Hypersensitivity and Rapid Desensitization Center and the Director of the Mastocytosis Center. Dr. Castells was educated at the University of Barcelona, and in various hospitals in Madrid, Spain. In the United States, her academic and medical training include residencies and fellowships at Kansas University Medical Center, Medical College of Virginia, and Brigham and Women’s Hospital / Harvard Medical School. In 2005, Dr. Castells was the founding Chair of the Task Force on Mast Cell Disorders of the American Academy of Allergy, Asthma and Immunology. InMarch 2009, when she stepped down from the Committee Chair position after four years of service and leadership. This Committee has continued to serve an important role in fostering recognition and validation of mast cell diseases. She continues to be an active participant in mast cell disease research and collaboration globally.Dr. 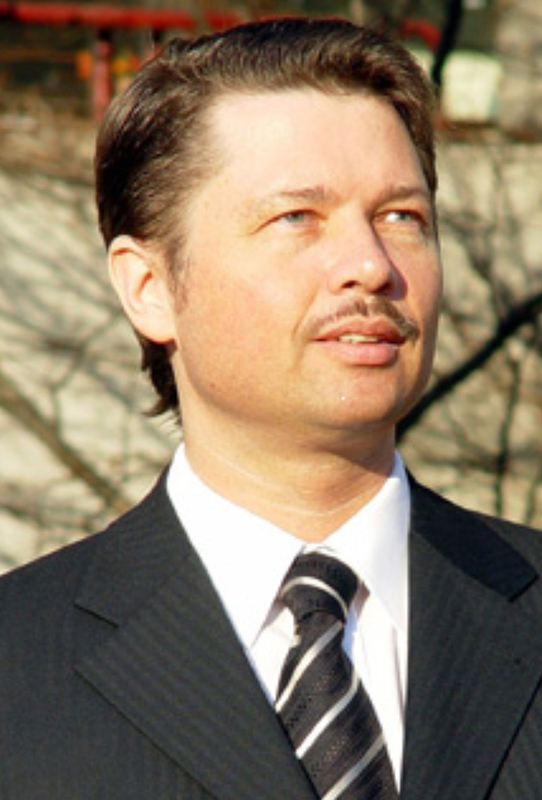 Castells is a member of the AIM Organizing Committee. Tracy George, MD, is a professor of pathology at the University of Utah School of Medicine and executive director of clinical trials and PharmaDx at ARUP Laboratories. She completed her medical degree and residency training in anatomic pathology and laboratory medicine at the University of California San Francisco, with fellowships in hematopathology and surgical pathology at Stanford University. Dr. George is board certified in anatomic pathology, clinical pathology, and hematology by the American Board of Pathology. Her research interests include mast cell disease and laboratory hematology. Dr. George has authored more than 100 publications, is President Elect for the International Society for Laboratory Hematology, and Co-Editor-in-Chief of the International Journal of Laboratory Hematology. She received the College of American Pathologists Lifetime Achievement Award in 2014.
and the production of cysteinyl leukotrienes. His clinical interest is mastocytosis and related mast cell activation disorders. 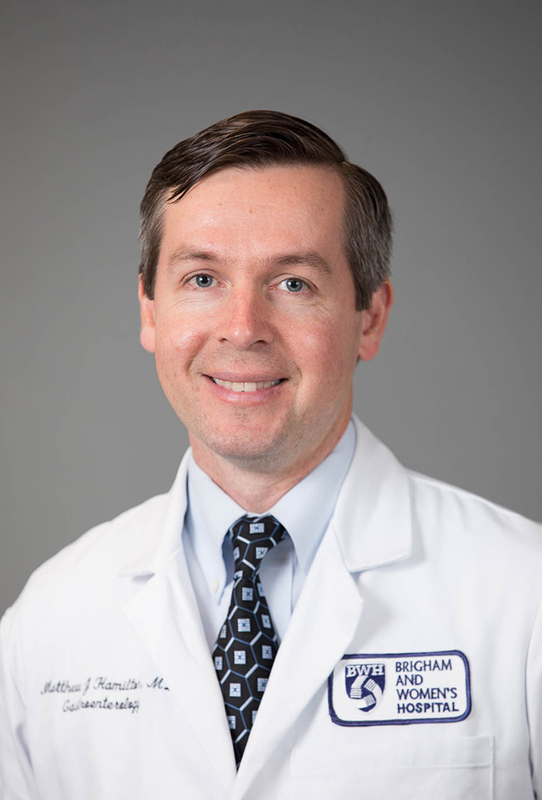 Dr. Giannetti is one of the members of the Brigham and Women’s Mastocytosis Center of Excellence. He is also involved in several trans lational research projects, which focus on understanding the abnormal mast cell biology in patients with mastocytosis. 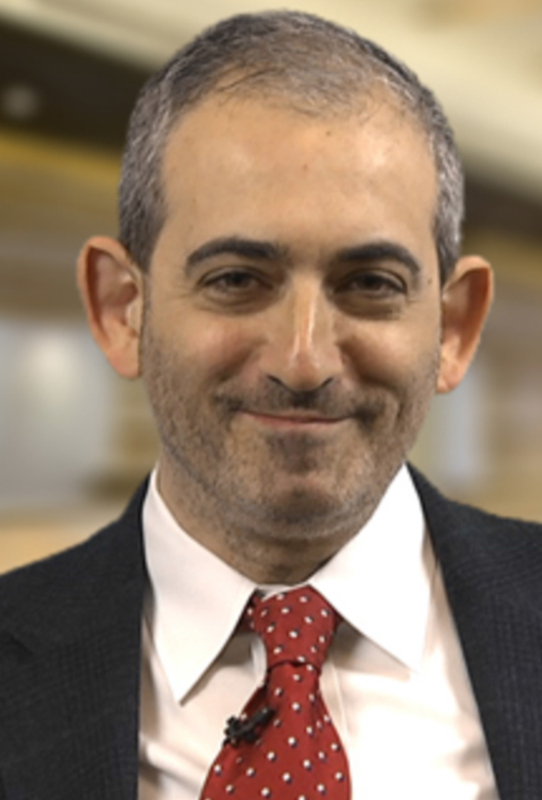 Jason Gotlib, MD, MS is a Professor of Medicine in the Division of Hematology at the Stanford University School of Medicine/ Stanford Cancer Institute. He received his MD from Stanford in 1995, and a Master’s Degree in Clinical Epidemiology from Stanford in 2003. Hismedical school training, residency and fellowship training were all undertaken at Stanford. 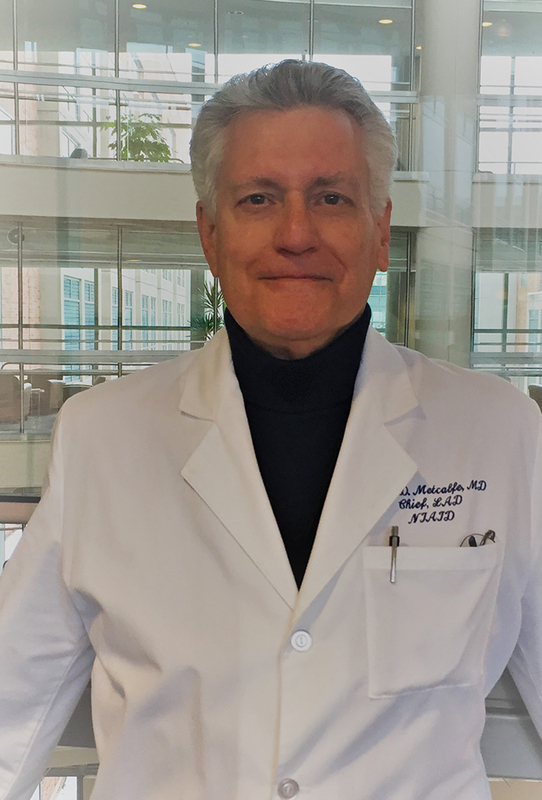 Dr. Gotlib led the clinical development of midostaurin in advanced systemic mastocytosis, which was approved by the Food and Drug Administration and European Medicines Agency in 2017, the first major drug approval for these diseases. Currently, he is actively involved in the development of second generation selective KIT D816V inhibitors in systemic mastocytosis. He led the development of IWG-MRT-ECNM consensus response criteria for advanced systemic mastocytosis and recently Chaired the development of the first U.S. National Comprehensive Cancer Network (NCCN) Guidelines for Systemic Mastocytosis. He is a member of the European Competence Network on Mastocytosis (ECNM), and is Co-chair of the steering committee for the American Initiative in Mast Cell Diseases (AIM) along with Cem Akin MD, PhD. 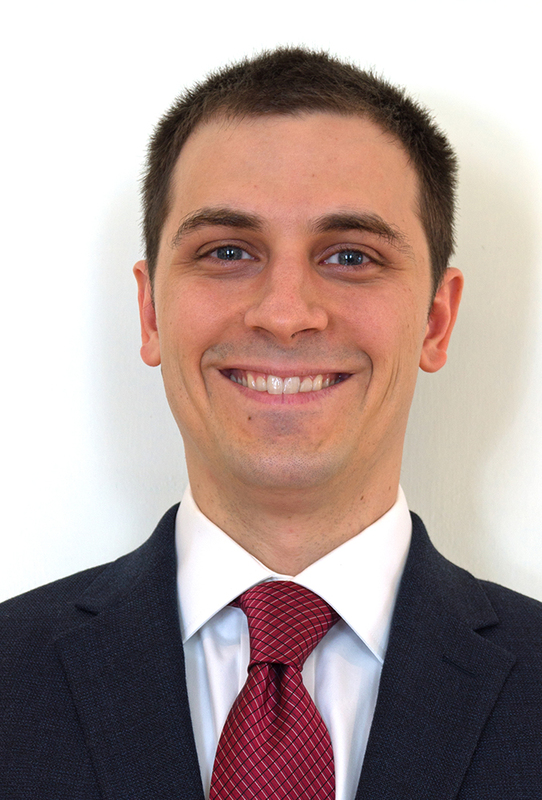 Matthew J. Hamilton, MD is an associate gastroenterologist at Brigham and Women’s Hospital where he is a physician scientist member of the Mast Cell Center of Excellence. He is an Assistant Professor of Medicine at Harvard Medical School. He graduated from University of Maryland School of Medicine in 2002, followed by a residency at Boston Medical Center from 2002-2005, and fellowship training at Brigham and Women’s hospital, Boston from 2006-2009. Dr. Hamilton provides specialty clinical care to patients with mast cell activation syndrome (MCAS) and systemic mastocytosis and conducts clinical and translational research projects to better define subtypes of patients with MCAS to optimize diagnosis and treatment. He has been an invited speaker at conferences around the country regarding the GI manifestations of mast cell disorders. Jonathan Lyons MD, earned a B.A. from Pomona College in 2003 and an M.D. from USC in 2007. He completed residency at UCSD in 2010, and served as a Chief Medical Resident in 2011. In 2014 he completed his Clinical Fellowship in Allergy/Immunology at NIAID and became an Assistant Clinical Investigator in the Laboratory of Allergic Diseases. In 2018 he was named Chief of the Translational Allergic Immunopathology Unit. Dr. Lyons’ work has contributed to the characterization of six novel genetic causes for allergic inflammation, including hereditary alpha tryptasemia: a genetic trait resulting from increased TPSAB1 copy number associated with multisystem complaints and severe anaphylaxis. His lab now studies how such alterations in signaling, protein expression, and metabolism can affect anaphylaxis and myeloproliferation in allergic reactions and diseases. Dr. Lyons received the ARTrust/The Mastocytosis Society Research Award in 2015, NIAID Merit Awards in 2016, and was named a Lasker Scholar in 2017. Susan Jennings, PhD, received a BA in Chemistry/Biochemistry from UC, San Diego and a PhD in Cancer Biology from Stanford University School of Medicine. Her early research interests focused on harnessing the power of the human immune system to fight disease, including through mechanisms of cell-mediated cytotoxicity and cytokine/chemokine function. In the biotechnology industry, she worked in the area of cancer drug development, and has volunteered with The Mastocytosis Society, Inc. (TMS) since 2009, first as Co-Chair, and currently Chair, of the TMS Research Committee. She serves as an adviser to the TMS Board of Directors, attends medical conferences and related meetings as a representative of TMS and works closely with the TMS Medical Advisory Board. Dr. Jennings also works with other organizations, specialty physicians, government entities, and industry on joint TMS projects. 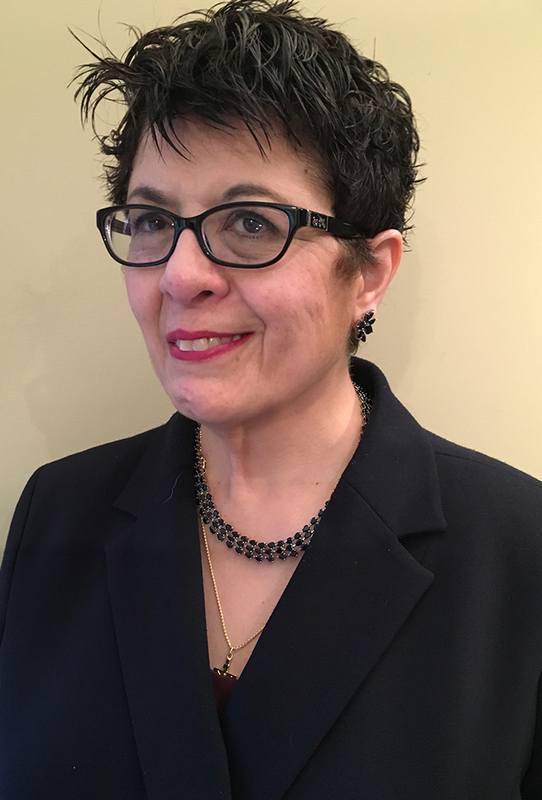 She serves, with Valerie Slee, RN, BSN, Chair, TMS Board of Directors, on the Mast Cell Disorders Committee of the AAAAI, and with this committee, coordinated ICD-10-CM code development for MCAS and a more recent code update for mastocytosis. Dr. Jennings Co-Chaired the 2010 TMS Mast Cell Disorder Patient Survey Project with Nancy Russell, DrPH, and her latest research involves a 2018 MCAS Patient Survey, findings of which were presented at the NIH in September 2018. Over the past several years, she has worked with others at TMS and the American Initiative in Mast Cell Diseases (AIM) Steering Committee to prepare for the inaugural AIM Investigator Conference and ultimately to establish the AIM network across North, Central and South America. 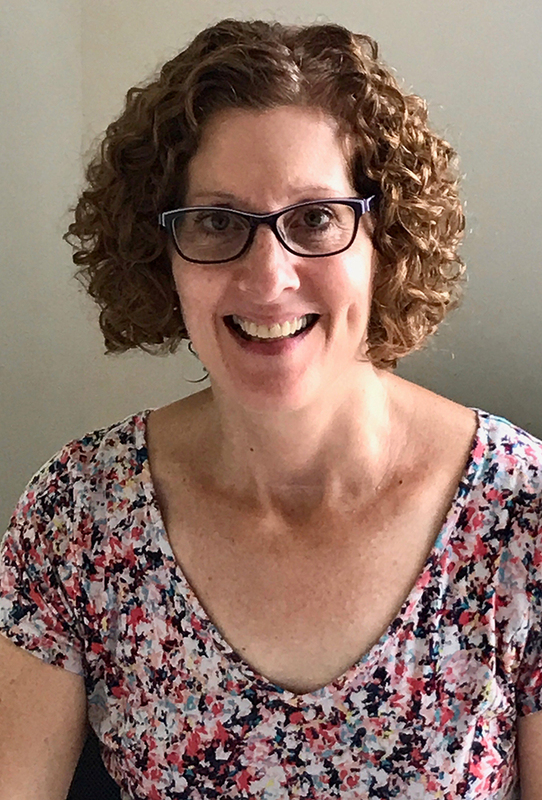 Jan Hempstead, RN, serves as Interim Vice Chair and Patient Care Coordination Chair for The Mastocytosis Society, Inc. She also is a mast cell disease patient, diagnosed with Hereditary Alpha Tryptasemia at the NIH and MCAS at Boston’s Mast Cell Center of Excellence. She provides education, support and coordination of care to patients, caregivers and medical professionals. 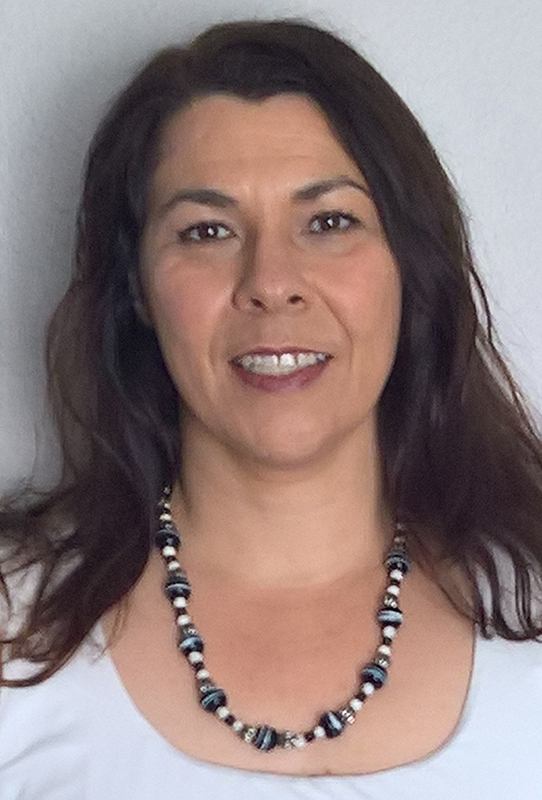 Jan previously was a board certified health coach offering stress reduction workshops for her local community. Dr. Maitland received both her M.D. and PhD from the University of Pennsylvania. 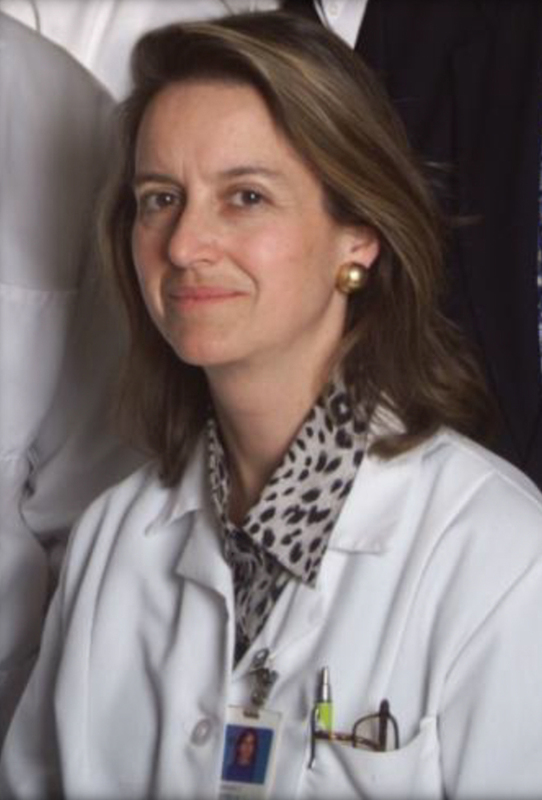 She undertook her residency in internal medicine/immunology at Brigham and Women’s Hospital in Boston and her fellowship in allergy and immunology at Brigham and Women’s and Mount Sinai Hospital in New York, N.Y. She is in private practice in the NY area and an Assistant Clinical Professor in the Department of Medicine/Clinical Immunology at Mt. Sinai Hospital.Dr. Maitland is very active in local societies and the surrounding communities, with the goal to increase awareness of immune-mediated disorders. She is also involved with research to continually improve the treatments of allergies, asthma, drug and food allergies, mast cell diseases, and recurrent infections. 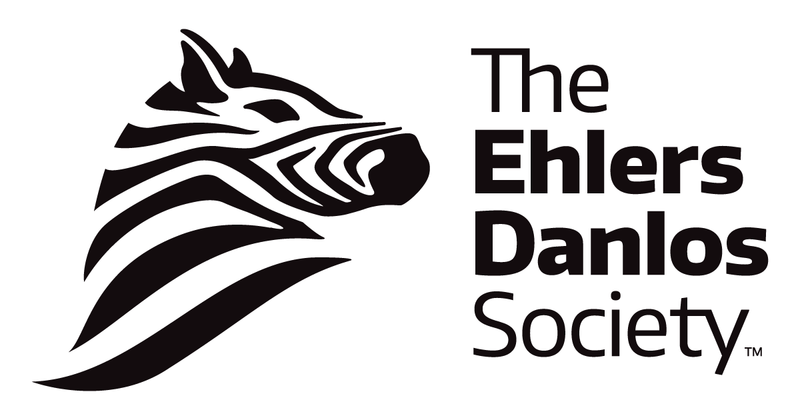 She is also active with the Comorbid Coalition, which addresses conditions associated with Ehlers-Danlos Syndrome, including POTS/dysautonomia, and MCAS. Dean Metcalfe, MD, is the Chief, Mast Cell Biology Section/LAD/NIAID/NIH. He is a graduate of NAU and received an M.D. from the University of Tennessee. Dr. Metcalfe completed a residency in Internal Medicine at the University of Michigan, has an M.S. in Microbiology, and was a Fellow in Allergy and Immunology at the NIH and in Rheumatology and Immunology at the Brigham and Women’s Hospital/Harvard Medical School. He has been Chairman of the ABAI, President of the AAAAI and Chairman of the ACGME A&I RRC. Dr. Metcalfe has received the Commendation, Outstanding Service and Meritorious Service Medals of the USPHS, an Outstanding Alumnus Award from the U of T, the Distinguished Scientist and Lifetime Mentorship Awards from the AAAAI, the Distinguished Scientist Award from the WAO and the ECNM Researcher of the Year. Dr. Metcalfe has been elected to membership in the ASCI, the ACCA, the AAP and the Collegium Internationale Allergologicum. He is an author on over 600 scientific publications and has trained/mentored over 60 postdoctoral fellows and visiting scientists. 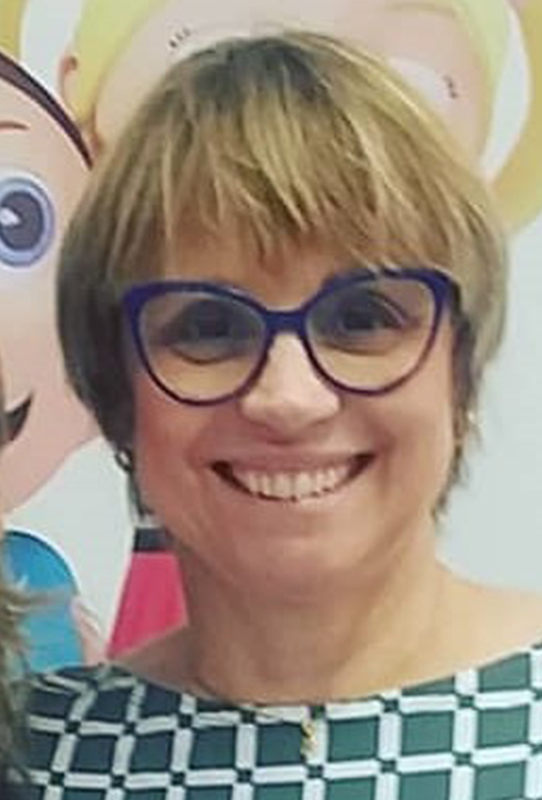 Ana Mosca, MDis a pediatric dermatologist at Hospital Jesus Municipal, a teaching hospital in Rio de Janeiro. Her program is a reference center for mastocytosis where she sees children affected by the disease. She is also a member of the Brazilian Society of Pediatrics and the Dermatology Society. From2013 to2014, she was President of the Brazilian Society of Dermatology of Rio De Janeiro. At the RegionalMedical Council in Rio de Janeiro, she is from the Technical Chamber of Dermatology. Jennifer Nicoloro-SantaBarbara, MS, is a Ph.D. Candidate in the Social and Health Psychology program at Stony Brook University. Her research focuses on stress and individual factors that increase or reduce these effects. She focuses on reproductive health, especially pregnancy and infertility, and on rare chronic illnesses such as mast cell disorders. During her graduate training, Jennifer has collaborated with investigators in the Departments of Psychiatry and Allergy and Immunology at Brigham and Women’sHospital, and the Department of Obstetrics, Gynecology, and Reproductive Medicine at Stony BrookMedical Center. 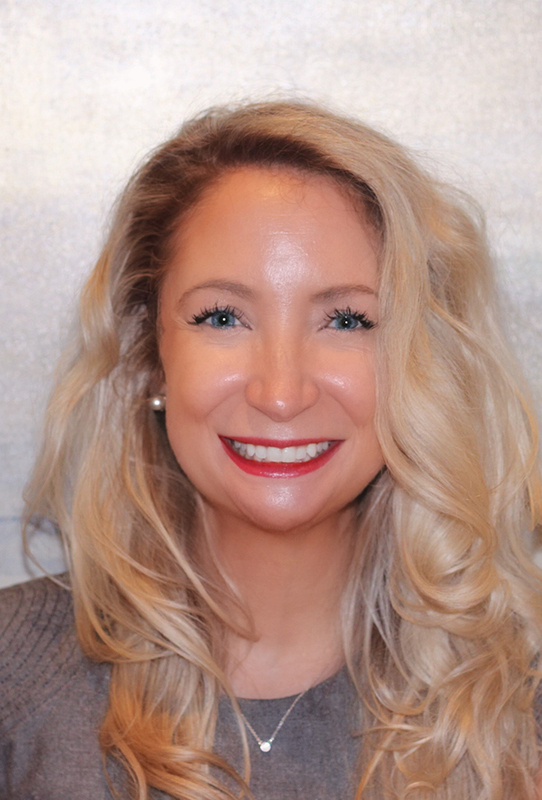 She is the recipient of the North American Society for Psychosocial Obstetrics andGynecology’s Steiner Young Investigator Award and the Society for Behavioral Medicine’s DistinguishedStudent Travel Scholarship. Dr. Deepti Radia, BSc, MBBS, MRCPI, FRCPath, MSc Med Ed.has been in her Hematology Consultant post at Guys and St Thomas Hospitals since 2003. She is part of the MPN team lead by Professor Claire Harrison.Dr. Radiais the lead clinician for the systemic mastocytosis and chronic myeloid leukemia services. 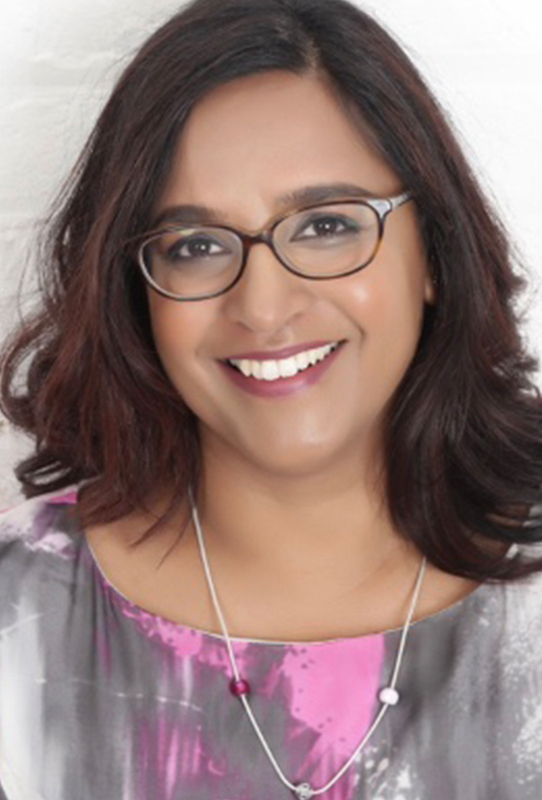 The ECNM UK mastocytosis centre of excellence at Guys and St Thomas Hospitals was jointly established by Dr. Radia and Dr.Clive Grattan in 2005. The service accepts referrals from across the UK, Ireland and further afield. She is principal investigator for several landmark trials for patients with advanced systemic mastocytosis. Dr. Radiais actively involved in the education of clinicians and patients with the goal of improving the understanding of mast cell disorders by delivering regular teaching in regional, national, international meetings in addition to the UK Masto patient support group. Anapuma Ravi, MD, is an allergist, immunologist and pediatrician at Mayo Clinic, Rochester, Minnesota. 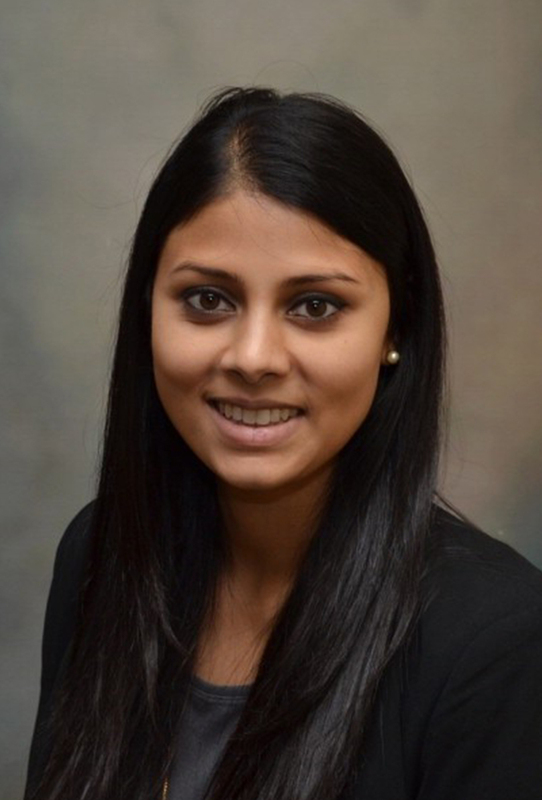 She received her MD from Chicago Medical School, an undertook her pediatric residency at LoyolaUniversity Medical Center and Mayo Clinic, and she pursued a fellowship in Allergy and Immunology atMayo Clinic. Her clinical research interests include food allergies, allergic rhinitis, and allergy immunotherapy, eosinophilic esophagitis, mast cell diseases, including mastocytosis. She is the recipient of a TMS 2018 grant award to studyExcretion of Mast Cell Mediators in Pediatric Mastocytosis and MastCell Activation Syndrome (MCAS). 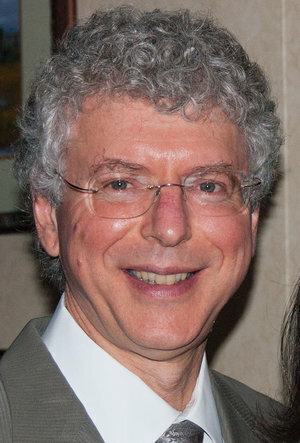 Lawrence B. Schwartz, MD, PhD, is a Professor of Internal Medicine in the Division of Rheumatology, Allergy and Immunology at Virginia Commonwealth University (VCU). He received his MD/PhD from Washington University in Saint Louis, MO. His research interests include mast cell/basophil differentiation and function, tryptase protease biochemistry, immunoassay development, molecular biology of mast cells/tryptase, transcriptional regulation of mast cell proteins and desensitization of mast cells and basophils. His clinical interests include asthma, food and drug allergies, anaphylaxis, urticaria, angioedema, hypereosinophilic syndromes and eosinophilic diseases, mast cell activation syndromes, mastocytosis, primary immune deficiency, and aspirin sensitivity. 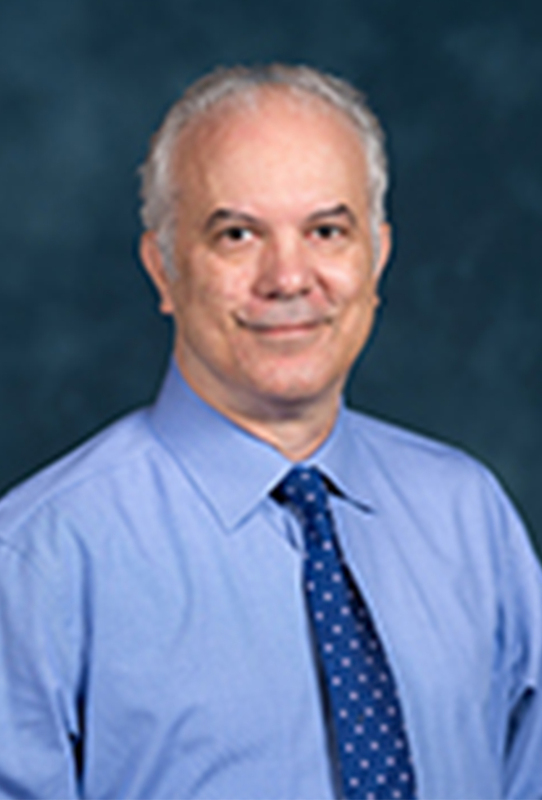 Theoharis C. Theoharides, MS, MPhil, MD, PhD is the Director of the Molecular Immunopharmacology and Drug Discovery Laboratory, as well as a Professor of Pharmacology, Biochemistry and Internal Medicine at Tufts University, Boston, MA. He also has a Certificate in Global Leadership and Management from the Fletcher School of Law and Diplomacy at Tufts University and was selected Kennedy Fellow for an MPA at the J.F. Kennedy School of Government, Harvard University. His research centers around mast cells, and he was the first to show that mast cells can be stimulated by non-allergic triggers, such as stress hormones, to secrete inflammatory mediators selectively.Dr. Theoharides proposed the novel concept that mast cells play a critical role in inflammation, especially in the brain. 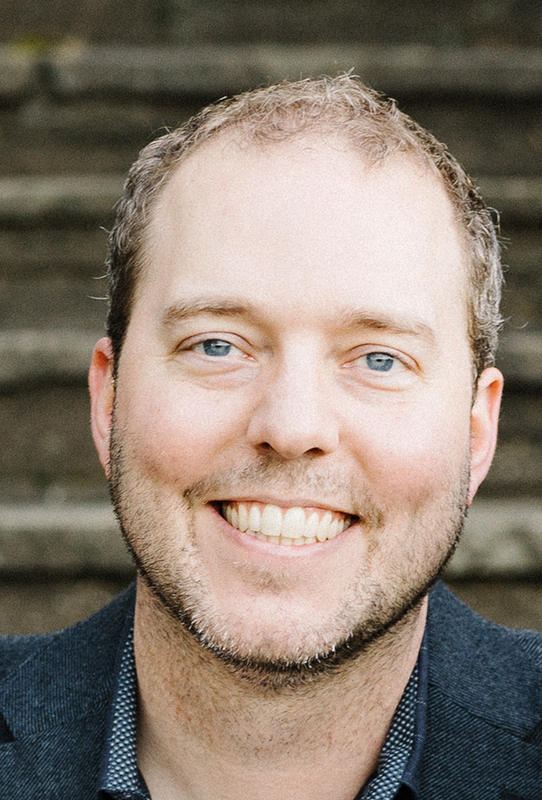 He is the author of hundreds of articles, and has been involved in training many students at all levels of study. 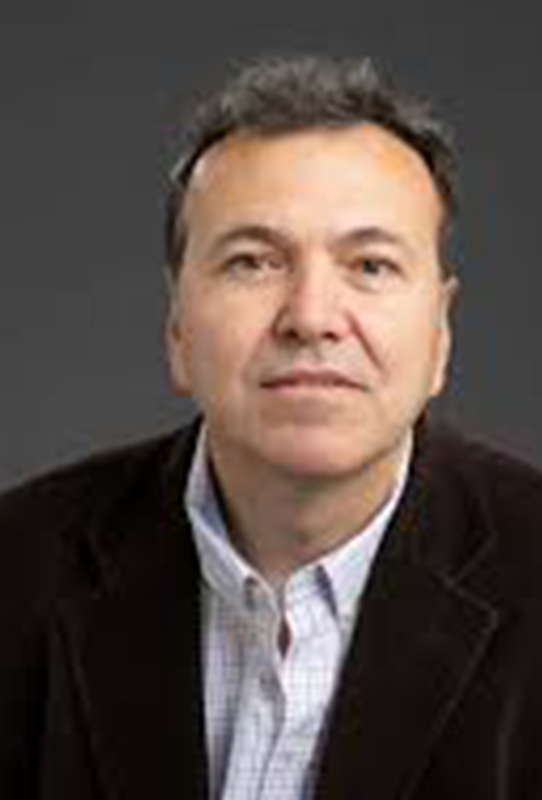 Celalettin Ustun, MD is an Associate Professor of Medicine, Division of Hematology, Oncology and Cell Therapy at Rush University, Chicago, Illinois, where he is also the section chief of the Bone Marrow and Cell Therapy Program.Dr. Ustun graduated from Ankara University Medical School in Turkey and completed residency in internal medicine at Ankara University Medical School and East Carolina University. He undertook his fellowship training in hematology at Ankara University Medical School and Medical College of Georgia. 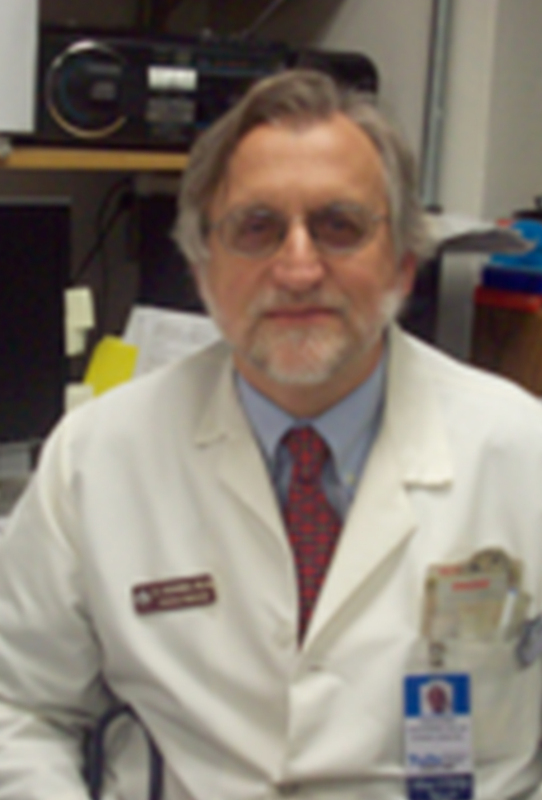 Dr. Ustun was a faculty member in hematology, oncology and transplantation divisions at Medical College of Georgia and University of Minnesota. His special interests include the management of hematologic malignancies, including acute and chronic leukemias and advanced variants of systemic mastocytosis with a focus on transplantation outcomes. Peter Valent, MD is Professor and Director of the Ludwig Boltzmann Institute for Hematology and Oncology at the Medical University of Vienna. He coordinates the European Competence Network on Mastocytosis (ECNM) and runs a Mastocytosis Center of Excellence in Vienna. 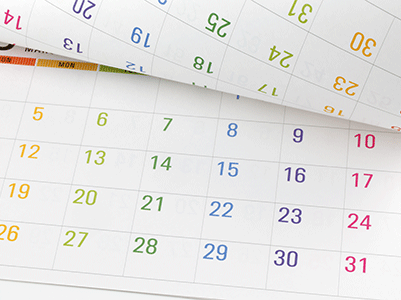 Valent organized a number of mastocytosis meetings, including several working conferences on diagnostic criteria and standards in the past 25 years and was a leading contributor to the WHO classification of mastocytosis. A special focus of his research is the identification of diagnostic and prognostic markers and therapeutic targets, and the development of targeted drug therapies in mastocytosis and mast cell activation syndromes (MCAS). Professor Valent is member of several medical societies and serves on various editorial boards and as reviewer in numerous top journals. He has published over 700 peer-reviewed articles as well as numerous textbook chapters in his areas of expertise, lectured widely in Europe, North America and Japan, and has received numerous scientific awards. The Mastocytosis Society, Inc. will hold their biennial conference for patients, caregivers and families impacted by mast cell diseases, followed by the inaugural American Initiative in Mast Cell Diseases (AIM) physician/investigator meeting. Sponsorship levels and opportunities outlined below will be for both conferences. For questions related to sponsorship opportunities contact fundraising@tmsforacure.org. Premium logo placement and 60-word company bio on a special two-page sponsor insert included in the registration packet for each conference attendee.